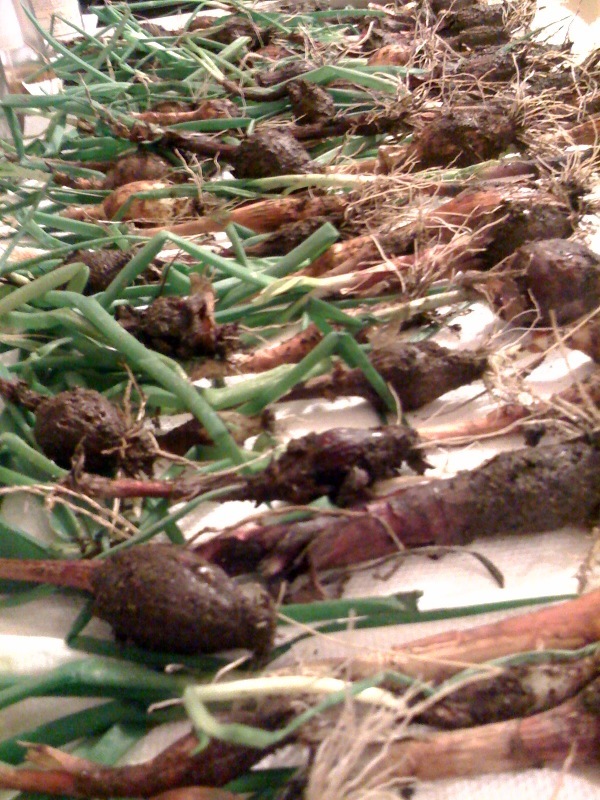 With tonight’s impending snow storm I thought today would be a good time to harvest the rest of the items in my vegetable garden that are not protected by the cold frame. I ended up with one green bell pepper, 3 lbs of carrots, a bunch of small leeks, and (hopefully) enough onions to survive the winter. 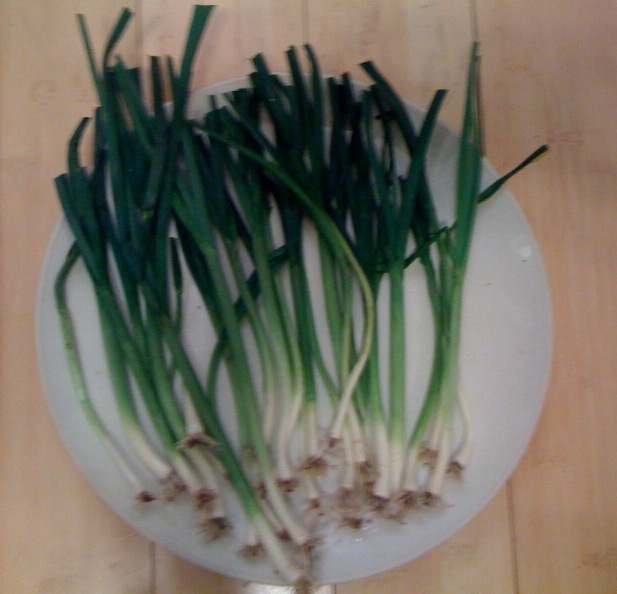 Tomorrow I’m going to make some potato leek soup – YUM. 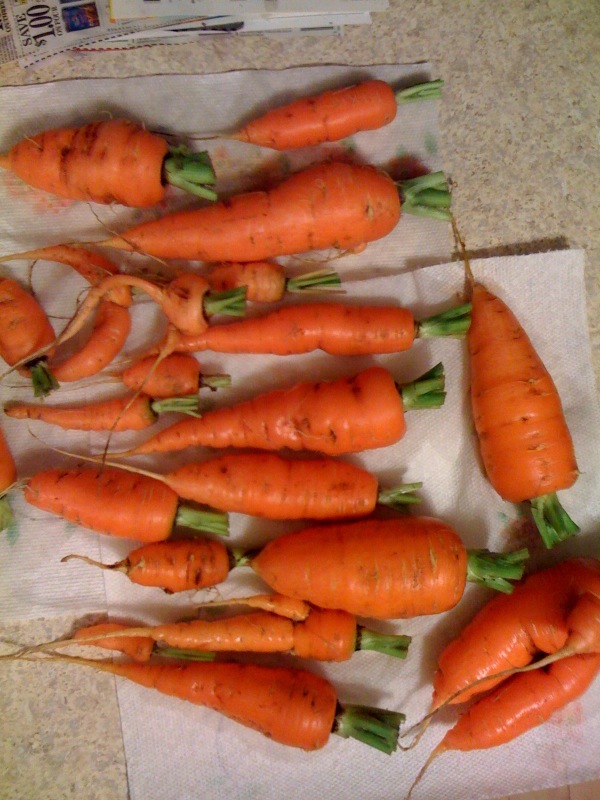 I’ll probably cut up and freeze some of the carrots since I doubt we’ll eat them all before bouncing around from parent to parent’s house over the holidays. As for the onions, well first they have to dry and cure. This could take a while. Then I’ll keep them in our uninsulated mud room which usually stays around 35 degrees F. This and keeping them in a ventilated, but dark bag should help slow the growing process and keep them through the next few months. Entry filed under: My Garden. 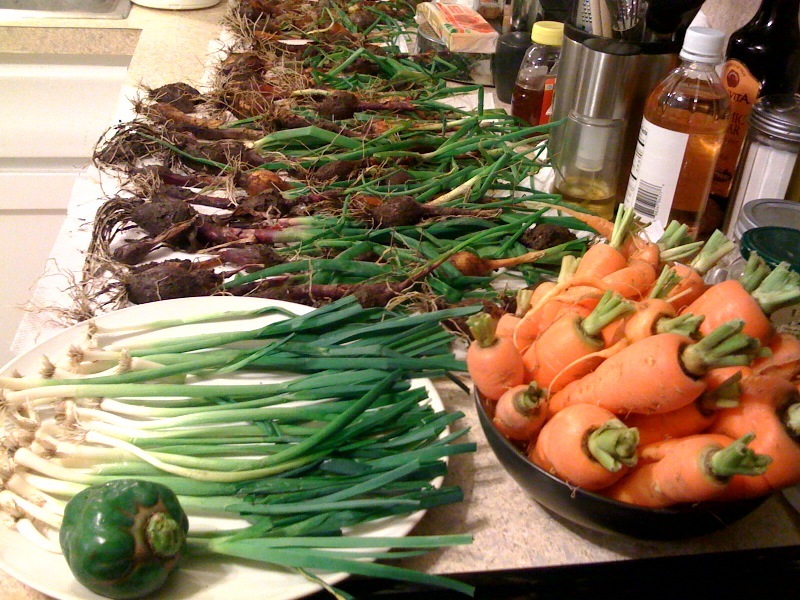 Tags: Carrots, Connecticut, Gardening, Leeks, Locavore, Onions, Organic, Vegetables. That pepper looks kinda soft… how will that taste? !